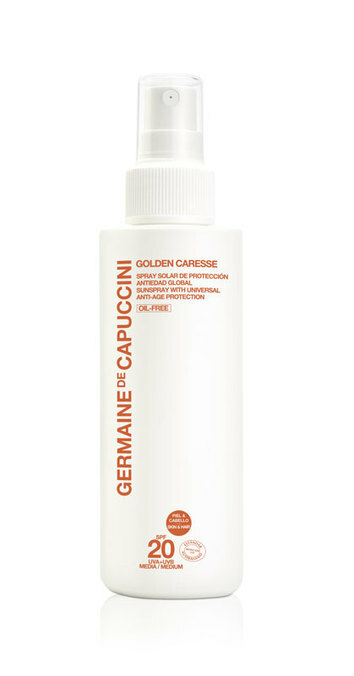 I work exclusively with Germaine De Capuccini Products, a company with a reputation for ground breaking advances in body and skin care. The successful combination of natural active ingredients with cutting edge technology has produced some of the most influential products the beauty industry has ever seen. 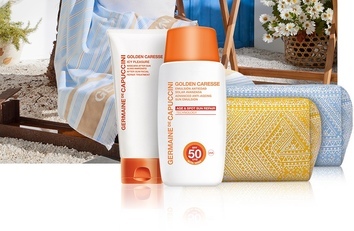 NEW to our product offering are the amazing Anti Ageing Sun Protection items - Golden Caresse. GOLDEN CARESSE PRODUCT OFFER - BUY ANY 2 GOLDEN CARESSE PRODUCTS & WE WILL SEND YOU A BEACH BAG & BEACH TOWEL FREE - JUST BECAUSE YOU ARE LOVELY! Tan Activator & Extender is a completely safe and natural way to enhance your tan, without having to spend hours in the sun. Ideal for use on short weekends away or longer holidays, you will develop a deeper and longer lasting tan more quickly than usual. Using Tan Activator 2 days before your holiday, activates the melanin synthesis in your skin preparing it before sun exposure. As soon as the UV rays come into contact with the skin, the tanning process begins immediately. Even if there’s only a little sun. 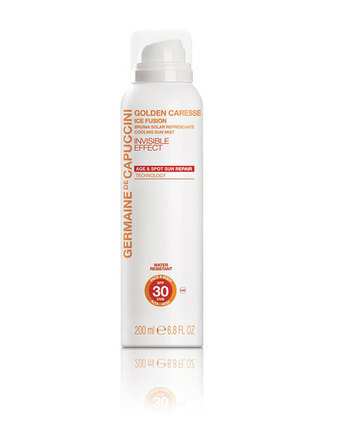 Advanced anti-ageing sun protection spray for the body. Advanced sun protection for the body. This transparent spray provides anti-ageing protection whilst hydrating the skin. Also, effective for hair. • External Protection: Double external protection against UVB radiation responsible for sunburn and against UVA rays responsible for skin ageing. • Internal Protection: Complete anti-age protection against two of the main problems that cause photo-ageing, spots and wrinkles. DNA and protecting the skin against photo ageing. A handy protective stick that can be used on the smaller, delicate areas needing maximum protection of SPF50, such as lips, ears, nose etc. Protecting against UVA and UVB Rays. Apply to clean skin wherever required. A fabulous cooling mist with an invisible effect, providing the skin with the most advanced sun technology. 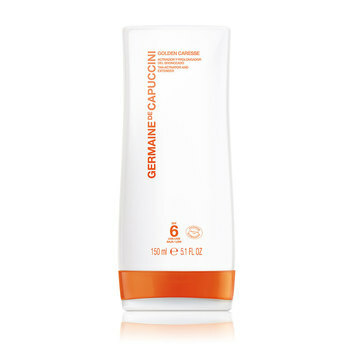 An airy texture that keeps the skin hydrated with a feeling of freshness, softness and well-being. • A fabulous cooling mist with an invisible effect. • Providing the skin with the most advanced sun technology. 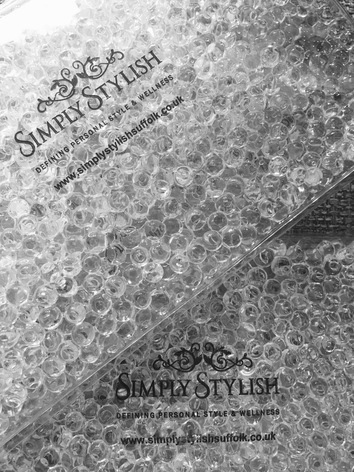 An airy texture that keeps the skin hydrated with a feeling of freshness, softness and well-being. • With STM-Cell Sun prevention technology, to protect and repair the skin’s DNA when in the sun, it is also water resistant so no need for constant re-application, protecting the skin against UVA, UVB and Infra-Red rays. Can be used on face and body, but avoid contact with the eyes. Shake before use, apply a maximum of 10cm above the skin before sun exposure and to refresh whilst in the sun if required. Close eyes before spraying the face OR spray into the hands and apply with hands to the face. 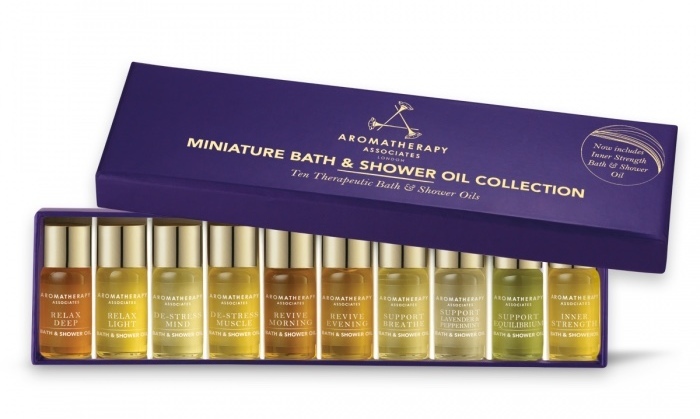 Reduces the sensation of burning and calms the skin well. 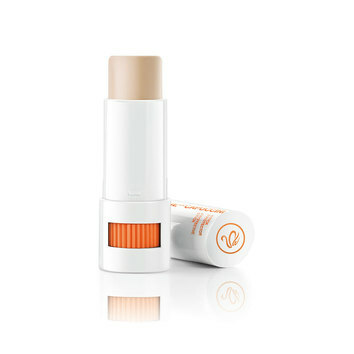 A deep hydrating balm that nourishes, repairs and protects areas exposed to sun damages. A superb treatment for the skin following exposure to the sun. A true treatment following exposure to the sun which helps prevent peeling, hydrates the skin & repairs the sun damaged skin cells. • Favours the natural repair process of the skin’s DNA. • Defends the skin against the negative effects of UV rays in an effective, continuing way over 24 hours. • Increases and protects collagen synthesis. • Soothes immediately the burning feeling and redness providing the skin with pleasurable soothing freshness.